A skilled surfer and fisherman, Javier has been a trekking and rafting guide in the Peruvian Andes and Amazon rivers for almost 30 years. Javier was born in Lima and came to Cusco in 1979. Shortly after, he became a guide and pioneered many of the first river trips and treks that are now commercially used. He has trekked extensively on all the major mountain ranges in the Cusco area and was a guide on important film production expeditions, including 2 years with Jacques Cousteau. Javier has lived in both Chile and Spain where he led rafting trips. 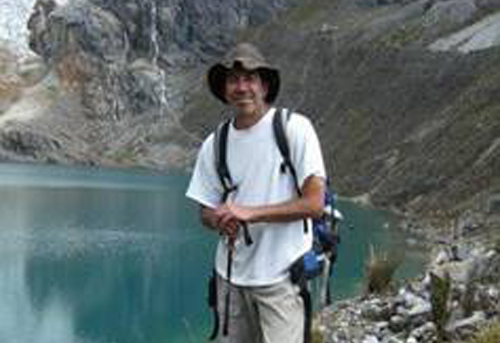 Some of his interests include textiles of the Andes, plants, history and local culture. When not in the outdoors, Javier spends his time with his family in Cusco. His holidays are spent on the coast surfing and fishing. His favorite food is usually the local specialties, or a good, fresh, spicy Ceviche!